supported & helped Pakistan as their global strategy; they chose politics over humanity. Nixon-Kissinger's hand was also red with Bengali blood. 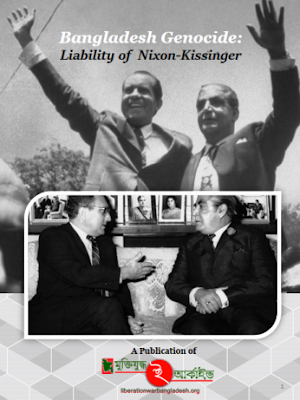 This ebook is a compilation of articles that tells us about NixonKissinger's liability of Bangladesh Genocide-1971. History never forsake those powerful men & their authority who remained silent when evil was triumphing. This ebook is an attempt to tell the story of two such men.